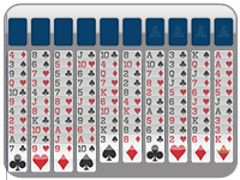 Enjoy classic freecell, but winning mighty quickly? 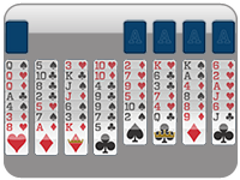 Try reducing your open cells to just three for a harder, more exciting freecell game! The game is still the same. Move cards around in the tableaux, organizing them in a downward fashion, alternating colors. 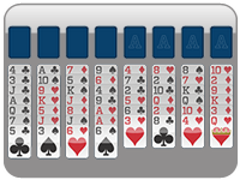 Use the open cells to remove the cards from the game for a time to make that freecell movement easier on the board. Move the cards into the foundations by suit, ace to king to win! 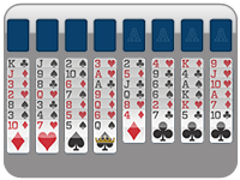 Three Freecell is an interesting game, because even with the reduction in one open cell, each game still has over a ninety nine percent chance of solvability. 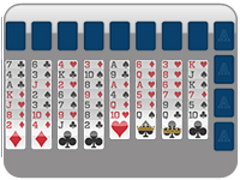 Reduce your open cells to only three in this freecell variation. 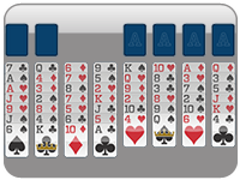 Your solvability rate remains the same as classic freecell. 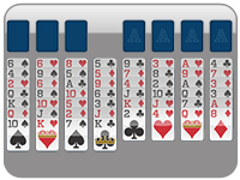 If you know how to play freecell, you'll know how to play three freecells. Rules are exactly the same!